"Before Special Olympics, he only could use his left arm to move in the water, since he can't use his legs," said his mother, Mercedes Heredia. "But over time, he has pushed himself and can now use his right arm, too." And Aquiles has a lot of territory to cover: 25m in the breaststroke and 50m in freestyle. 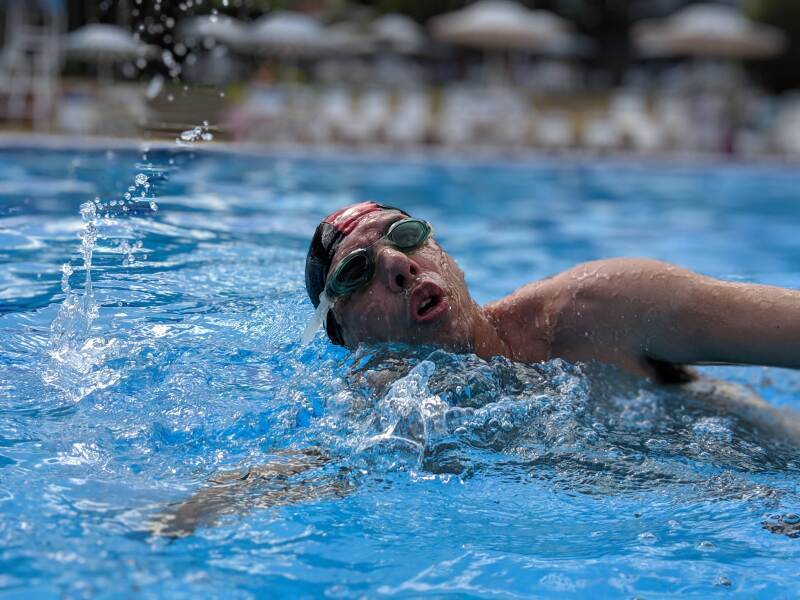 He'll also take a pivotal role for Team Venezuela in the 4x25m freestyle relay. Yet, with each practice, he improves his time. "We are very proud of him," said mom, who flew in from Venezuela to see him compete against athletes from around the world. 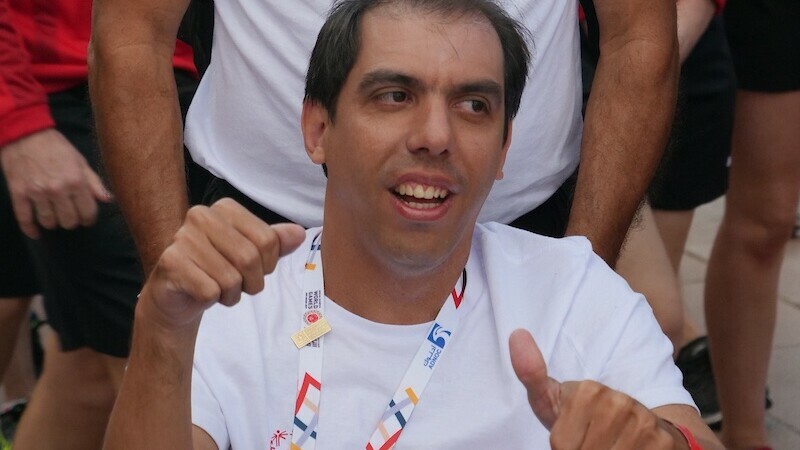 During a preliminary swim, Aquiles' obvious determination and effort brought the crowd to its feet, cheering as he approached the finish in the 50m freestyle. Such recognition from the international audience—and the only standing ovation of the 2019 Games (so far)—caught Aquiles' mother by surprise. "He has worked so very, very hard for all of this," she said. 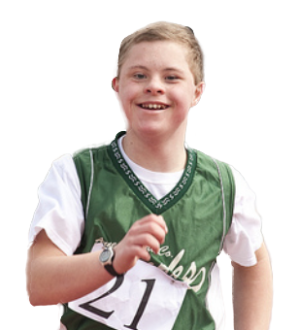 Learn more about Aquiles' journey here.